‘King of the Cut’ Preview and Predictions: Can the Aussies Retain Their Title or Will Titou Sweep Downwind Week? UPDATE: We’ll be posting the live results from the King of the Cut this afternoon. As the headline act of Aussie Downwind Week, the Stand Up Surf Shop’s King of the Cut is Australia’s premiere ocean race. 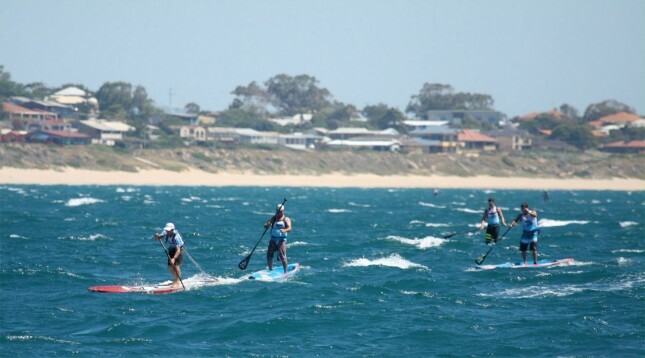 In fact it’s probably the most prestigious downwind race in the world outside of Hawaii and Oregon, and this weekend we’ll see virtually every top Aussie paddler¹ and a few international guns chasing glides off the coast of West Oz in search of the crown. With half a dozen guys that could realistically win it and a dozen contenders for the top five, this year’s King of the Cut is going to be an unpredictable and hotly-contested encounter. To add to the script, we’ve also got Angie Jackson aiming for a third-straight title in the women’s race. But who’s going to win? Let’s take a closer look and throw down a few bold predictions. The race starts at 1:30pm Sunday local time (“What’s the time in Western Australia right now?“). The winning runs on this 24km course are generally just under 2 hours, so check back around 3:30pm for the results to start filtering through. Being a downwinder, the conditions obviously play a huge factor in the King of the Cut results. If the wind is nuking, the bump-riding masters will be licking their lips and should be hard to beat; If the wind is light, the fitter/stronger paddlers might be able to out-muscle their more experienced ocean rivals. The bumps were firing all week in the practice sessions, however the forecast for the weekend had been looking a little light. Fortunately the forecast has been steadily improving and right now it’s hovering around 15-20 knots, which isn’t exactly all-time but is more than enough to produce some very good glides. The race has also benefited from the two-day window, with organisers moving the race from Saturday to Sunday to get the best conditions. Unlike the grand downwind events in Hawaii, where it’s entirely the domain of the rudder’d boards, pretty much every race in Australia is 14′ these days (for both men and women; I’m looking at you, America). Having said that, there has actually been a recent surge of big boards in Oz, with the 2016 King of the Cut set to field the largest unlimited division ever seen outside Hawaii. There will be almost 30 unlimiteds on the start line, with a handful of the usual SIC Bullets but also a big contingent of the blue NSP ‘Molokai’ board that Travis Grant made famous. There’s also a few new Aussie brands such as Sunova, ONE and ECS dipping their toes into the unlimited market. There’s also now a cash bonus for line honours, which may very well go to an unlimited. Keep an eye on Sunova board designer and local downwind expert Marcus Tardrew to stick with the leaders on a board he personally created (I don’t believe defending unlimited champ Dave Kissane is racing). While an unlimited may sneak through for line honours, the real battle is happening on the 14 footers where the biggest names include several of the world’s top ranked athletes. Newly-minted ISA champ and world number two Michael Booth, while not a downwind expert, should be in the mix along with Carolina Cup hero Titouan Puyo, defending champ Matt Nottage, 2014 winner Beau O’Brian, Jake Jensen, Kelly Margetts, Lincoln Dews, James Casey, Marcus Hansen, Paul Jackson, Ben Tardrew, Tomo from Japan and a young dark horse from New Caledonia by the name of Clement Colmas. Matt Nottage certainly deserves a solid rating given he won this thing 12 months ago by defeating Travis Grant and the rest of Australia’s best. He also picked up “Breakthrough Performance of the Year” at the 2016 SUP Awards as a result. 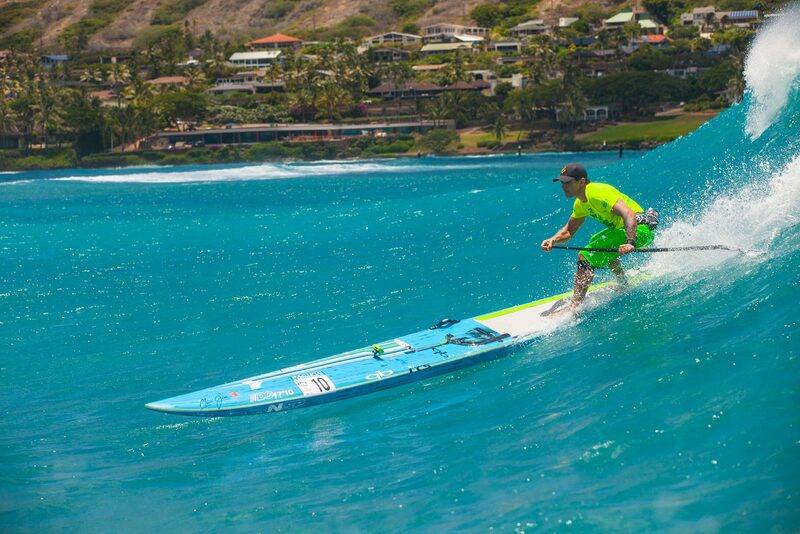 Matty has proven himself to be one of the best in the bumps all around the world (3rd at OluKai this year) and will be tough to catch on Sunday. 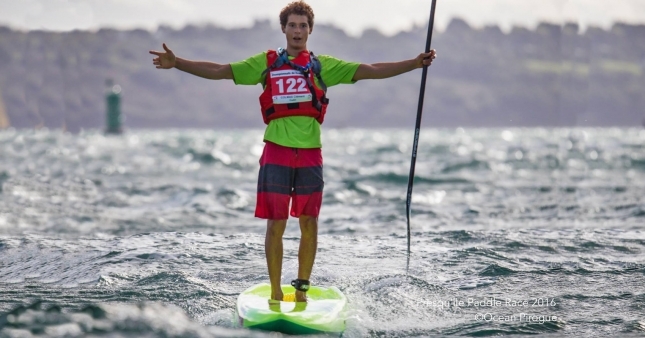 Though one guy that can match Nottage for bump-riding ability is New Caledonia’s Titouan Puyo, who’s coming off a solid win at the opening Downwind Week event, The Doctor, and a silver medal at the Fiji ISA Worlds. Can Titou make it a clean sweep of Downwind Week? Quite possibly. The current world number four and reigning Carolina Cup champion is most comfortable when the wind is at his back thanks to his extensive background in the outrigger canoe world. Titou is a bit like a French version of Travis Grant: He can race in any conditions/format, but he excels when the wind is blowing; I wouldn’t be surprised to see him standing atop the podium on Sunday evening. I’m really interested to see how Michael Booth does this weekend. 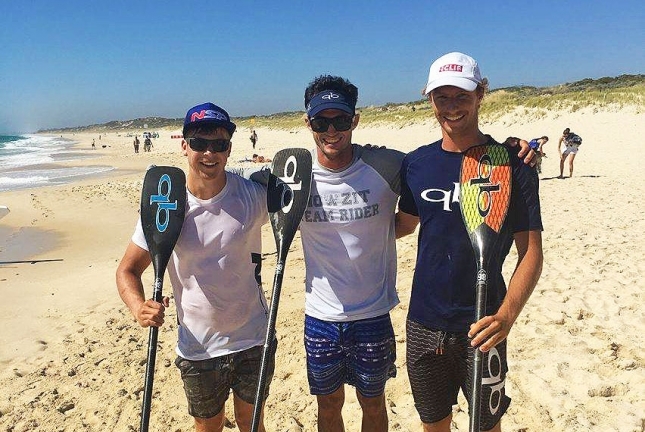 Boothy is much stronger when it’s a flat water grind and he can simply overpower his rivals, but he’s quickly learning the skills to be a threat in downwind and surf races as well. Has he learnt enough to win? Probably not yet, but he shouldn’t be too far off the pace. Jake Jensen hasn’t had the best season this year, however he’s one of those guys that has the raw talent to step up and pull off a huge result when nobody’s expecting it. Jake is also very strong in the bumps, and should be a good bet for the podium this weekend. Unfortunately for Jake he’s one of the only top contenders not riding a dugout model; The guys paddling for Starboard, NSP, JP, ONE and Sunova all have those canoe-shaped downwind boards that are generally a better fit in the bumps. Beau O’Brian could well be the wildcard this year. The 2013 and 2014 King of the Cut champ has had a light preparation as he spent the past few months prepping for his recent wedding day, but I know Beau is hungry to reclaim the title he lost 12 months ago, and few paddlers can match this guy when he and his Starboard Ace find their rhythm. Jamie Mitchell’s top team rider, Lincoln Dews, could be a chance for the podium. Linc certainly has the ocean racing experience and is coming off the back of a podium finish @ The Doctor last weekend. That race was relatively flat though, so it’s hard to judge where he’s at in the downwind world right now. Lincoln could easily hit the podium or he might not even be in the top half a dozen. He’s a hard one to predict, but he’s definitely a contender. Looking further through the field, there’s at least another half a dozen guys that will believe they can go top five or better. James Casey will fancy his chances if the bumps are rolling; Kelly Margetts will be the first to admit that downwinding is his weak spot, but he’s been putting in the hours recently and shouldn’t be too far behind the leaders; Marcus Hansen finished runner-up to his NSP team mate last weekend at The Doctor and should therefore get a high rating. But the Kiwi is a bit of an unknown quantity in downwind races–he could be a wildcard but probably still has a ways to go before he’ll be a podium threat; Paul Jackson is a veteran of the racing scene that has the years of experience and nice new downwind board under his feet–it’s hard to leave Jacko out of the top 10 but such is the depth of competition in Australia these days; Jacko’s ONE team mate (and board designer) Ben Tardrew is another that could easily land inside the top 10. Though the surprise packet of this year’s King of the Cut could be New Caledonian young gun Clement Colmas, the 15-year-old who turned heads at the French Nationals last month by keeping pace with runner-up Arthur Arutkin and staying within shouting distance of Titou. This kid has grown up playing in the downwind paradise that is New Caledonia, where the bumps are fairly similar to those in West Oz. He’s also got pedigree: Clement’s father, JL Colmas, is a famous windsurfer that worked with Svein Rasmussen in the early days of Starboard and helped develop the iconic ‘Ace’ design, aka the most famous 14′ downwind board in the world. I believe Clement is paddling a modified version of the Ace these days. The youngster is joined in West Oz this week by another up-and-coming kid from New Cal that could be a name to watch in the near future, 14-year-old Noic Garioud. On the women’s side the predictions get a little easier, simply because the field is a lot smaller (though in a positive sign, the women’s field has more than tripled in size since last year). There’s probably a clear top three, with Angie Jackson going for her third straight crown against 2014 runner-up Karla Gilbert and 2015 bridesmaid Terrene Black. I believe Angie has the talent, determination and the right board to make it a three-peat, though I think Karla and Terrene will be pretty close on her tail. Also keep an eye on Olympic sailing gold medalist Belina Stowell-Brett, who wasn’t far off Angie’s pace at The Doctor last weekend. There are a few local dark horse ladies that I’m not so familiar with, so don’t be surprised if a relative unknown sneaks up towards the podium. Before we get into the actual predictions let me just say: This race is pretty damn tough to predict². I also get the feeling we’re going to see half a dozen guys, either 1st-6th or more likely 3rd-8th, trading positions during the race and all finishing within a couple minutes of each other. Or in other words: Any of these guys could reach the podium. ¹ Almost every elite Aussie paddler will be there; Travis Grant, the King of the Cut runner-up for the past two years, is skipping the Downwind Week festivities this year after welcoming his first child into the world a month ago; I believe Dave Kissane, who came within a few seconds of taking line honours on his unlimited last year, will be missing this time around; Toby Cracknell and Kiwi-turned-Aussie Trevor Tunnington are also out. Apart from that, I’d say every top paddler in the country will be on the start line. ² I preface my predictions with a “It totally depends on the conditions” disclaimer just in case I’m wrong.